Important questions face any pastoral counselor when working with African American couples and families. 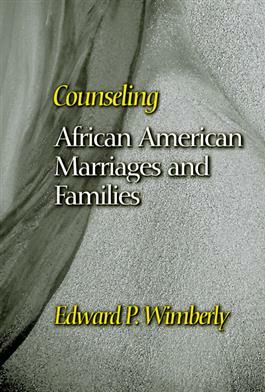 Edward Wimberly focuses on the religious worldview that African Americans bring to their understanding of marriage and family, so that the counselor can learn the assumptions behind the presenting problems. Wimberly's treatment examines the social context of African American families, the separate issues for men and women, intergenerational factors, the impact of the life cycle, sexuality, affairs, and abuse. This wide-ranging book is exceptionally practical for all pastoral caregivers.